Would you like to work in our Torquay Walk In Clinic? Torquay Walk In Clinic invites doctors seeking opportunities to work in the Surfcoast region to consider our medical practice. Victora's Surfcoast is one of the fastest growing regions in Australia, and as the population grows, so does the demand for GPs and medical services. Torquay is classified as Inner Regional (RA2) under the Australian Government's National Rural Locum Program and has a vibrant community and a township that offers a relaxed, coastal lifestyle. Torquay Walk In Clinic was established in 2011 and is supported by a wonderful team of health professionals who are focused on offering a “patient-focused” service from the minute you walk-in the door. 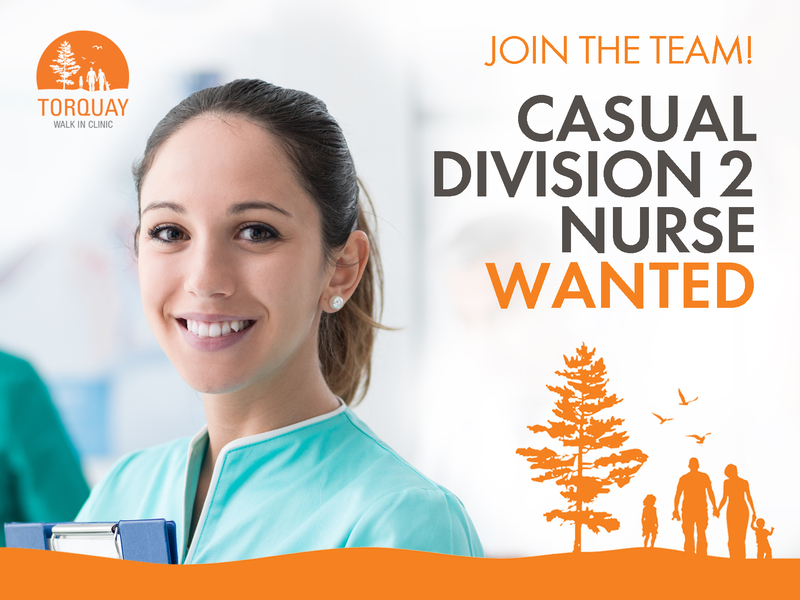 We are seeking a Casual Div 2/Enrolled Nurse who is able to help cover the team with both nursing and reception/admin duties to join our exceptional and friendly team in Victoria’s Surfcoast region - a vibrant community and a township that offers a relaxed, coastal lifestyle. We are looking for a go-getter who can assist both our patients and our doctors and strives to ensure the patient gets the best experience possible with their visit to the practice. Hours can be flexible/negotiated to suit both candidate and Practice requirements. Employment under Nurses Award – Private Medical Centres. Mediflex and/or Best Practice Medical software knowledge or worked with similar systems. 2.Please do the DISC test at the following link www.tonyrobbins.com/disc and email a copy of the results link to dgreen@gmhg.com.au with a Subject of Enrolled Nurse Position and your name.